Hand Embroidery Kit - Fun for Adults, Teens, and Kids 8 & Up! 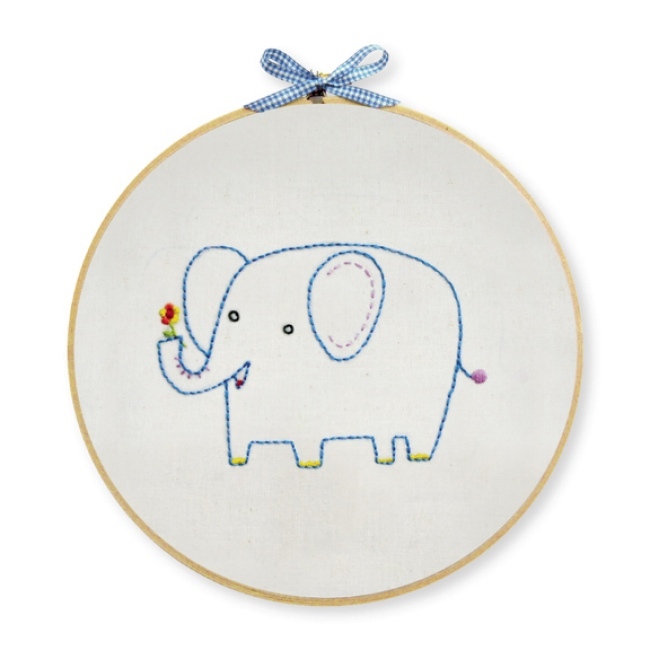 The Elephant Wall Art Embroidery Kit is a creative DIY hand embroidery kit from Penguin & Fish. This is a fun embroidery project for beginners and experienced stitchers! Kit includes cotton muslin fabric, 8-inch embroidery hoop, embroidery floss & needle, decorative ribbon, easy-to-trace pattern, iron-on transfer, stitch & color guide, and simple embroidery instructions. The wood hoop is used to hold fabric while stitching and then to frame finished wall art for easy display. Choose from two methods for transferring your design - 1) Use the easy-to-trace pattern to draw the design directly on your fabric or 2) Use the iron-on transfer.